A Memory book is a worthwhile project for both you and your parent. It’s a tool for passing on wisdom and life lessons. You may think that you know your parent well, but chances are you only have intimate knowledge of twenty years when you were living with them. That means there are fifty years or more that are full of rich details that you likely know very little about. Capturing these stories in a Memory book means they will never be lost, and these stories are important for another reason. According to the CDC, In 2016, 49 million adults living in the United States were diagnosed with Alzheimer’s—15% of the population—who were 65 or older. Capturing your parent’s memories in a Memory book provides you with a wealth of data that can help you enrich your parent’s life should they get a diagnosis of Alzheimer’s or dementia. Patients with the disease struggle greatly with short term memory, but often maintain recall of memories from long ago with crystal clarity well into the condition. Having a Memory book to turn to in this circumstance can be a godsend. But on a lighter note, creating a Memory book is fun and will take hours and days to complete. Aside from containing mementos and photos from your parent’s life, it should also capture your parent’s heart through stories. Stories about relationships with parents, grandparents, friends, classmates, and perhaps even lovers. From a Memory book project, you’ll probably be surprised to learn things like what it was like growing up the youngest with three older sisters, her happiest and most worrisome times, what people thought of her as a teenager, what music impressed her, and what she hopes people will remember most about her in life. You might be surprised to find out your mom had a pet pig as a youngster or, at one time had dreamt of being a famous writer. I was surprised to find out my mother was a top-notch figure skater with Olympic possibilities that were interrupted by marriage to my father. All my life she had her skating costumes squirreled away in a box in the attic and had never spoken about them. Your parent can write out stories about memories, or they could be captured via audio and transcribed to paper. Regardless of which method is used to obtain them, everyone will be enriched by hearing them. She can affix photos to pages and include captions about the time, place and people within them. She may even want to go to the library to get copies of old newspaper or fashion articles to include in the Memory book. A Memory book is like a time machine allowing you to experience a different era and get to know new dimensions about your parent that would be lost without it. Talk to your parent about creating a Memory book for you today. It’s a priceless treasure. She will enjoy it, you’ll be enriched by it, and even generations beyond you will have an opportunity to really know who your parent was. 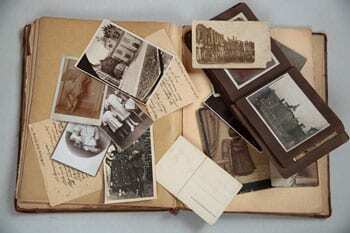 Creating a Memory book may also be a method you can use to get a resistant parent to accept having a Caregiver. Because the project takes a long time to pull together, you may be able to convince your parent to allow you to bring in someone to help with the project. During the creation of the project a Caregiver could come in for four hours once or twice a week. While creating the Memory book the Caregiver could offer to fix dinner, do a little light housekeeping or laundry to help your parent. 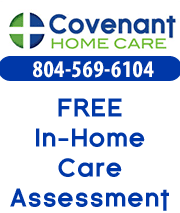 Over the course of the project your parent is likely to discover they enjoy the company and the help and agree to continued companionship and assistance from the Caregiver once the Memory book is completed.